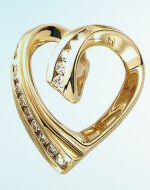 Complete the Circle of Love with brianmichaelsjewelers.com! This isn’t your typical, boring about us page. 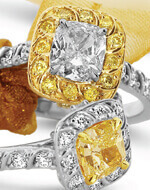 Learn how we, and our affiliated web sites, are different than any other online jeweler. 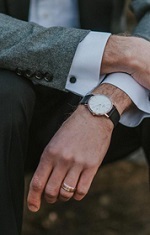 Here at brianmichaelsjewelers.com we offer you the features that are readily available on other Diamond and Fine Jewelry retailers online, such as a Large Database of Diamonds to choose from, “ Design Your Own” tools, 30 Day Return policy, Free FedEx® and an excellent selection of fine Jewelry. But, we believe that there is something that is much more important than these features….That is, You! The fact of the matter is that the Diamond business has many more variables than just Cut, Color and Clarity, as they would have you believe. These secondary variables consist of Depth, Girdle, Table Crown Angles and others. 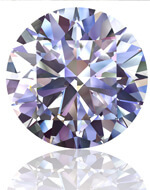 Jewelers use these secondary variables to come up with the Cut rating of each diamond they sell. These variables affect the brilliancy of all Diamonds. Unfortunately, these items are not noticeable to the naked eye and worse still most jewelers online are not qualified to assign these grades. 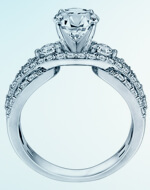 Because of this, many diamond retailers are making inaccurate representations to increase profit. 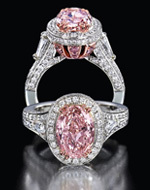 It is the secondary parameters mentioned above on the Diamond certificates that are used to rate diamonds by jewelers. This is why it is important to rely on only the best agencies in the world. This level of excellence and integrity is virtually unheard of on the Internet. You can rest assured that if we operate at this level of excellence and integrity when it comes to the diamonds we sell that everything else we do will operate at the same level of excellence and integrity. We started with the most important aspect of what we do, diamonds, and have applied the same levels of excellence and integrity to every other aspect of the business. To us, you are much more than a customer. We take very seriously the reason why most of you are here….Love. Our job is to make sure that this Love is not diminished by treating you as simply a profit center. The world needs more love and fewer reasons to diminish it. Our goal is to treat you with the same kind of loyal love that you are trying to express to your significant other with an item purchased from our site. A gift or purchase from us will complete the circle of love that is unattainable at other sites that do not operate with the same philosophies. EGL - European Gemological Laboratory. EGL was originally opened in Antwerp in 1974, and now has laboratories in Antwerp, New York Los Angeles, Johannesburg, Paris, London, Israel and Seoul. IGI - International Gemmological Institute. The oldest institute of its kind in Antwerp. Set up in 1975 with labs in New York, Bangkok, Mumbai and Tokyo. HRD - Hoge Raad Voor Diamant (The Diamond High Council). 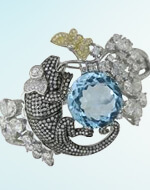 The officially recognised representative of the Belgium diamond trade and industry. HRD headquarters are located in Antwerp, World Diamond Center.